Andy Seize is an artist who has always had an awareness of the ‘bigger picture’, preferring to define his own creative direction rather than place himself within any particular art movement. The variety of his output stems from a diverse range of influences that include his own life experiences, together with a passion for abstract expressionism, pop art, graffiti, cartoons, chrome, and custom cars. His latest work, with its bold use of neon and sometimes high-key colours, brings out the escapist in us all and immerses us in a super-charged, tropical and almost dream-like paradise. However, it’s ‘how’ he joins up all of these populist elements into an extraordinary and condensed visual language that provides the power behind his latest work, which will literally make your eyeballs pop! 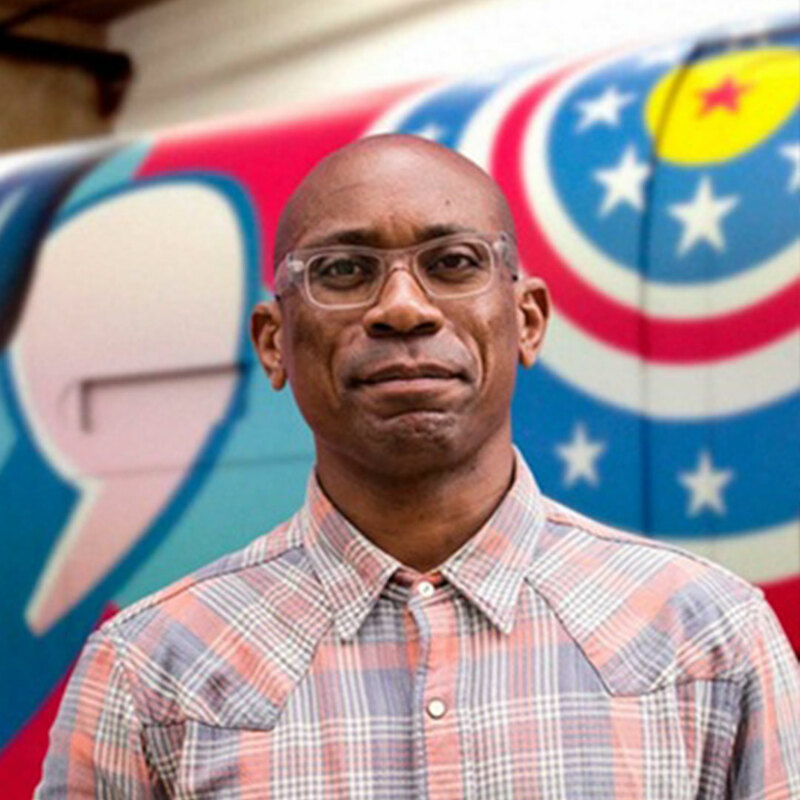 Seize has been involved in community art projects for many years and often on street-based projects designed to enhance the visual environment, but he is currently stepping sideways to explore and develop his own personal ideas. The media that Seize deploys in his art include traditional acrylic, aerosol, oil paint and digital methodologies. His work switches effortlessly between traditional wall pieces, into sculptural pieces at large scale that parody the popular ingredients that define 21st century culture such as neon signs, hot rod cars, underground trains, superheroes, fashion accessories, and brands – all of which are more or less embedded into our collective unconscious. These visual elements have often been used to define the visual landscape in contemporary films and computer games, but in Seize’s art these icons have been captured, remixed and are located at centre stage, in wild and unexpected compilations. Seize likes to play with these icons, by overlapping, duplicating and sometimes layering them in his compositions. We live in a period when many artists often take themselves and their art so very seriously but Seize’s work will depict a larger than life reality in a totally entertaining and self-ironic way.